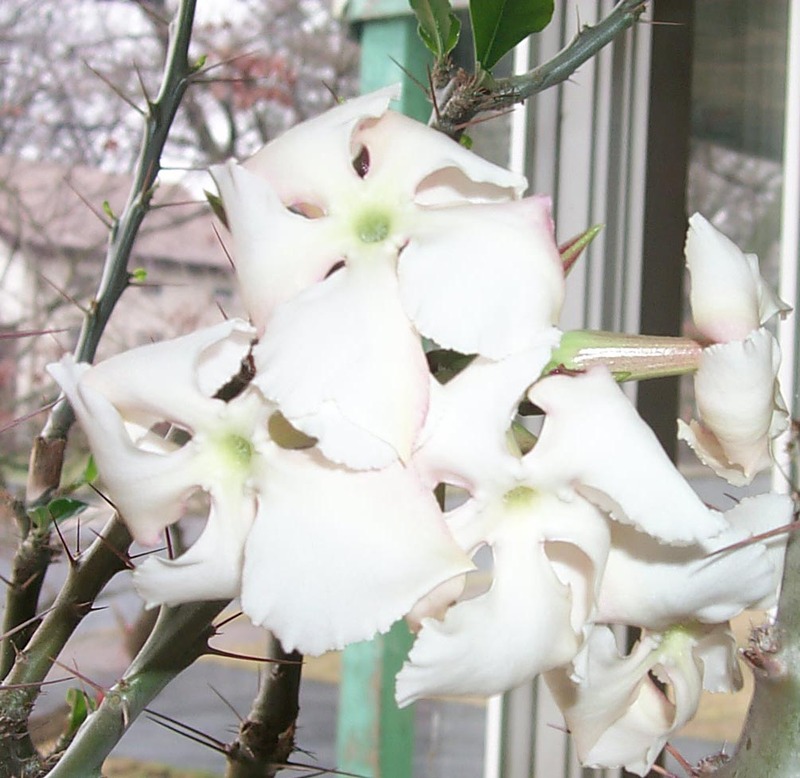 After spending the summer outside, the Pachypodium is lush and beautiful. Once moved indoors in September, the leaves begin to drop. For weeks they drop and drop until the plant is almost devoid of any green. Luckily, this is the time when the flowering cycle starts, producing many clusters of white flowers. It really makes up for it. 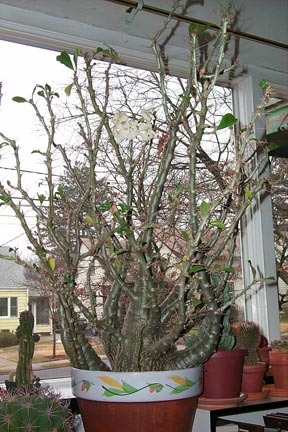 By the end of winter the plant looks quite scraggly, (see photo below) and may still produce a late batch of flowers. 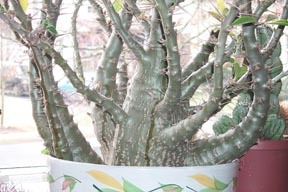 Now, at the end of February, brand new leaves are appearing on some branches. 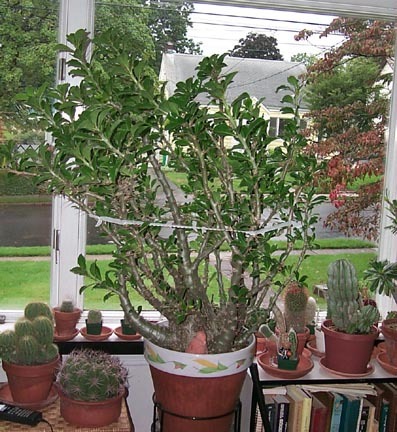 This picture shows the still fat caudex, since I water just enough in winter to prevent the plant from going totally dormant. 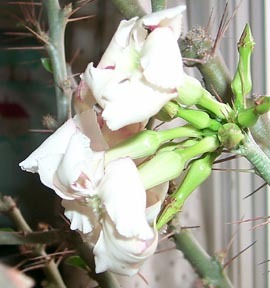 Pachypodium lealii can be easily propagated from cuttings taken in early spring.